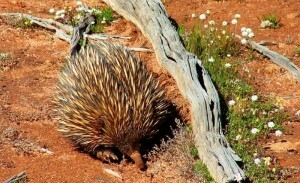 Encounters with kangaroos, echidnas, goannas and small lizards, snakes and a variety of bird species are all possible in the bushland reserves of the Wheatbelt. There is also a great variety of interesting of spiders and other insects including trap door spiders that create very elaborate tunnel entrances for trapping their prey. 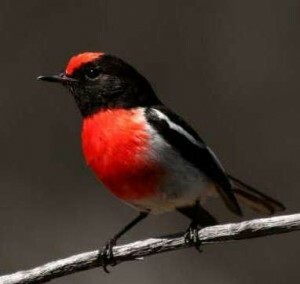 About 150 species of birds have been recorded in the Central Wheatbelt. They range from migratory waders visiting the salt lakes, through honeyeaters to small resident birds such as Red Throats and the Blue – breasted Fairy Wren that occupy small territories where conditions are suitable. In the early 1900’s the natural environment was primarily woodland consisting of Mallee scrub with areas of low shrubland. With the application of superphosphate to the soil, sheep and wheat farming became profitable and most woodland was cleared. The destruction of habitat has brought about profound changes to bird distribution. While numbers of smaller shrubland birds have dwindled, some species have relished the abundance of grain and the open spaces. Most spectacular and obvious of all are the pink and grey Galah and the Ring-necked Parrot. Their numbers have multiplied in the cleared landscape whereas many other species have declined along with the changing habitat. The strident calls the Red – tailed Black Cockatoo herald the coming of the autumn and flocks of these large dark birds can be seen collecting seeds in the paddocks or eating nuts and berries in the woodland. The bird symbol of the Wheatbelt is the Mallee Fowl. This unique and endangered bird may be found in the scrub north and east of Merredin Peak, in the Wongan Hills and in some reserves around Narembeen. It incubates its eggs in mounds formed from vegetation on the forest floor. As a ground dwelling bird it is easy prey to foxes, cats and dogs. Merredin is in the heart of the Central Wheatbelt and it’s local bird species are typical of Mallee wheat growing districts all over southern Australia.